Are you looking for Anadea, Apamea, Apatea, Cadea, Espada, Kpada, Ladea, Madea, Opadia, Oradea, Pradea, Spade, Spader, Spades, spado, spake, spirea, or Wadea? What does Spadea mean as a name of something? A page that is folded vertically around a section of a newspaper, covering part of the front and back pages, usually carrying advertising. 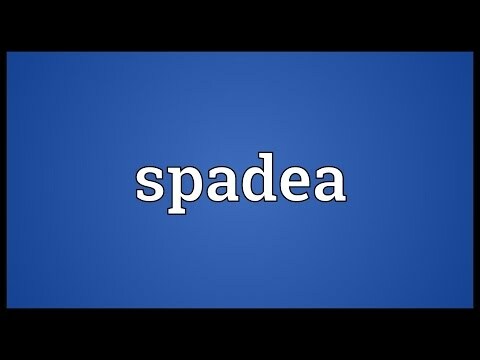 Spadea: A spadea or spadia is a separately printed, unbound broadsheet that is folded around a newspaper or other periodical, or around one of its sections, appearing as a partial page or flap over the front and back. We had with u* neither spadea nor pickaxes : and if lore of ease surmounted our desire of knowledge, the offence has not the lnrid>ousnes, uf ulrtgularity. — Johnttm : A Journey to the Wettern hlandt •fa-vaS-n-anoe, * ta-vlfr-n-an-oi*. »• [ Pref. See also the blanagrams of Spadea! Go to the thesaurus of Spadea to find many related words and phrases!